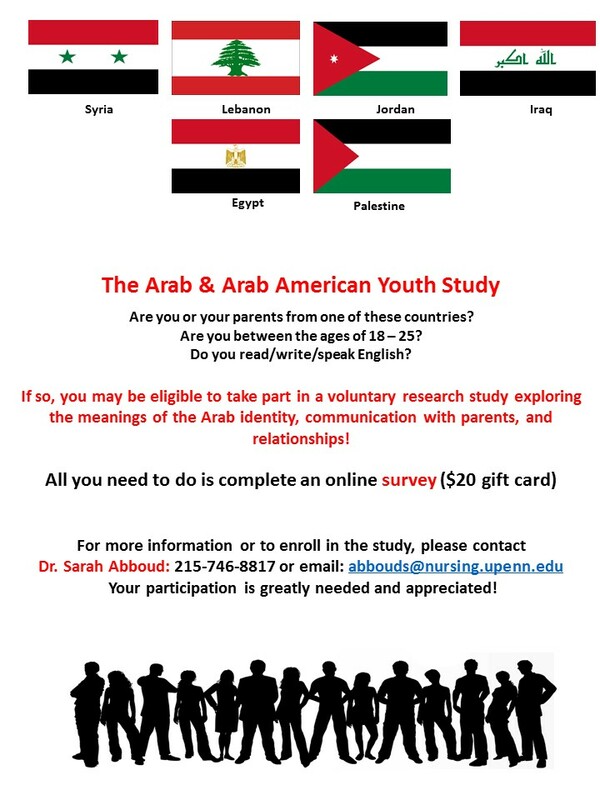 Please see the attached call for participants from Sarah Abboud, a post-doctoral fellow at the University of Pennsylvania School of Nursing. The study is approved by the IRB at the University of Pennsylvania. Are you or both of your parents from Syria, Lebanon, Jordan, Iraq, Egypt, or Palestine? 215-746-8817 or email: abbouds@nursing.upenn.edu Your participation is greatly needed and appreciated!